When you picture a street scene in Marrakech, Morocco, you can’t help but conjure up images of beautiful red buildings, amongst the labyrinthine streets. With their elaborate turrets, water features and center courtyards, the Riads of Marrakech are intertwined with the history of the city. So when staying in Marrakech, it’s the natural choice to stay in a riad. The riads make up some of the top luxury hotels in Marrakech medina; most are located close to the souks in the heart of the city. 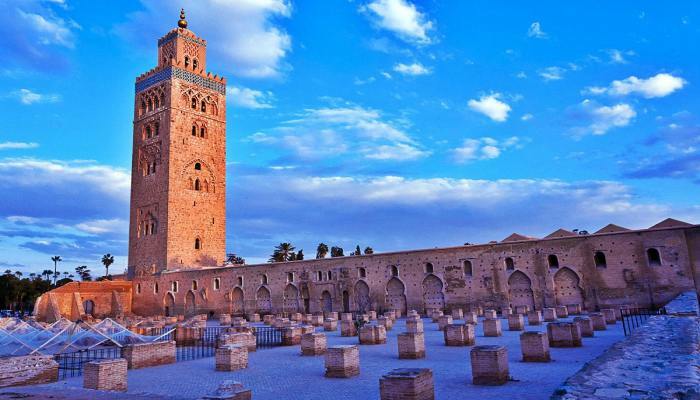 Here you will find many of the most famous Marrakech travel attractions. Marrakech is famed for its spas. The perfect places to relax after the thrill of the busy city, they really are welcoming oases of calm. The Mythic Oriental Spa is very popular amongst holidaymakers, offering massage and spa pools at a reasonable price. 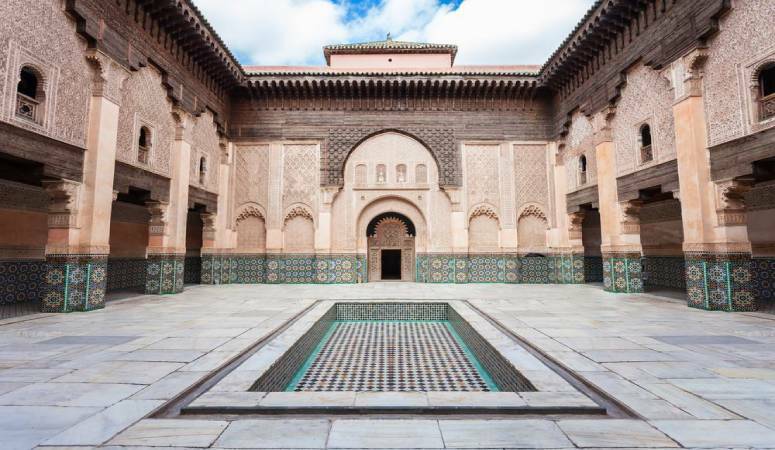 At the Ali Ben Youssef Madrasa, you can learn a lot about the cultural history of Marrakech. This Koranic school and museum will quench your thirst for knowledge in amazing surroundings. You will see some very impressive tile work, as well as amazing sculptures and carvings. Ali ben Youssef Madrasa was constructed during Saadian dynasty by the Sultan Abdallah al-Ghalib (reign 1557-1574 AD) in 1565. 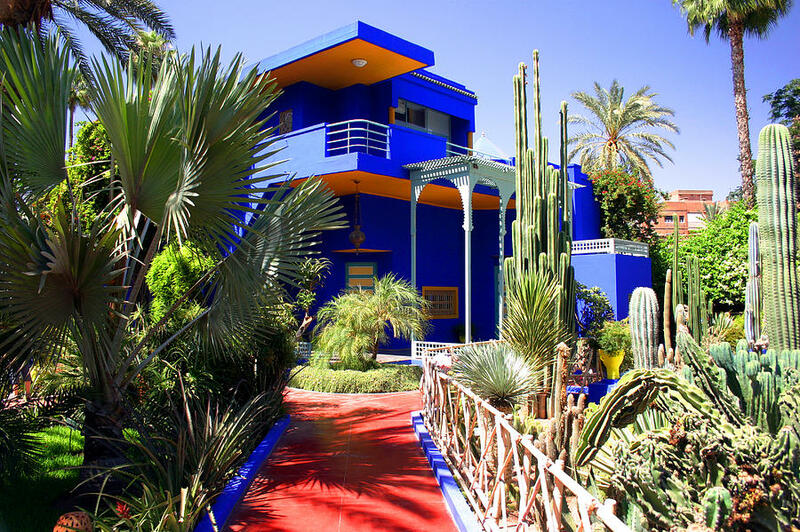 Another travel attraction in Marrakech is the Jardin Majorelle; a scenic, serene space, bursting with palms, pools and traditional buildings. The array of plant life is surprisingly diverse. Assoufid golf course offers 18 challenging holes on a surprisingly lush green course, set in spectacular scenery. A real must for any sportsman visiting Marrakech. So, where to stay to enjoy these great attractions? Dar One is widely rated as one of the best riads in Marrakech, boasting a terrace solarium and a swimming pool. The owner is on site most of the time, giving a personal touch to this calm and serene haven in the heart of the bustling city. Riyad Al Moussika was once the residence of the Pasha of Marrakech. Famous for its luscious gardens, Riyad Al Moussika creates a great fusion of the ancient and the modern. 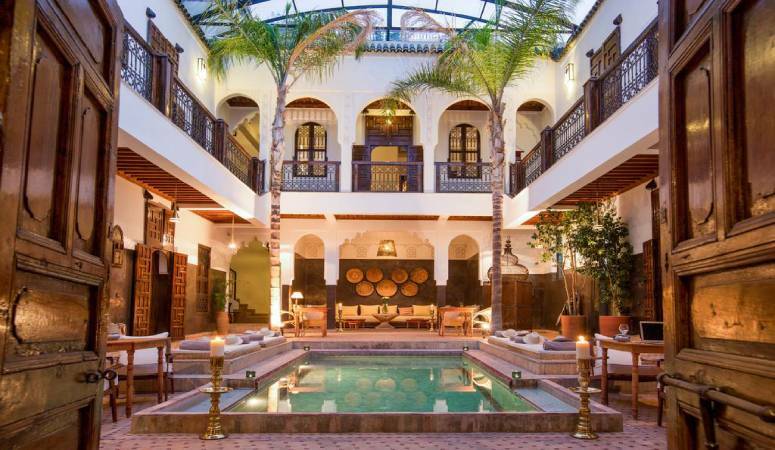 Meanwhile, right in the heart of Morocco, Riad Medina features an impressive traditional fountain, as well as a plunge pool and hot tub. This is surely one of the best riads in Marrakech. 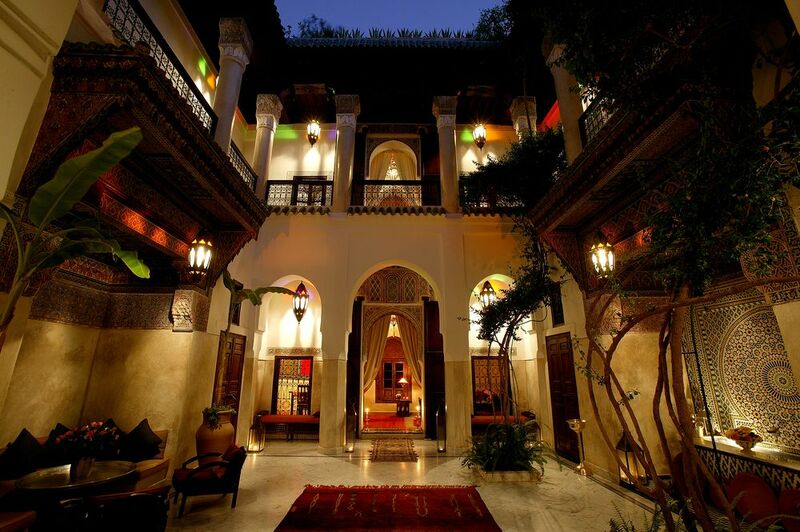 Away from the riads, Marrakech offers many further luxury hotels. La Sultana Marrakech offers spectacular views from the rooftop terrace, as well as a pool and spa facilities. 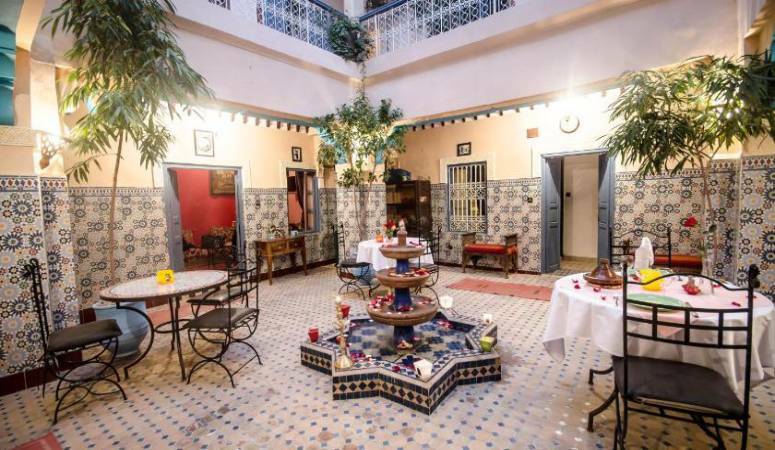 La Maison Arabe is located in the heart of the medina, and features two traditional hammams, as well as bars and restaurants. Whether you chose to stay in a traditional riad or one of the many luxury hotels in Marrakech, this city will be sure to inspire you.